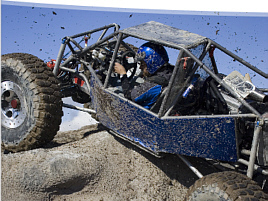 At Coil Spring Specialties, we manufacture coil springs for all makes and models of off road vehicles. In addition to lifting the ride height of the vehicle, the added weight due to cargo-carrying demands, significantly change the ride and handling characteristic of the vehicle. Heavy duty bumpers and winches, camping gear and trailers, require springs that will carry the additional load and set the vehicle at the trim height your desire. Rock Crawlers require both an increase in trim height and greater articulation in the suspension which can be achieved with the correct springs.